Caring for an elderly parent can be extremely challenging. 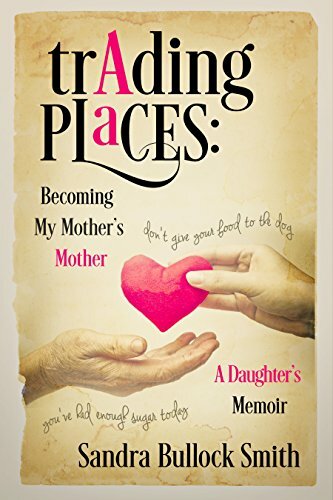 The role reversal involved is emotionally and intellectually demanding, and many caregivers find themselves unprepared to undertake such a difficult task.In Trading Places: Becoming My Mother’s Mother, author Sandra Bullock Smith shares her personal experiences spending ten years caring for her ailing mother. 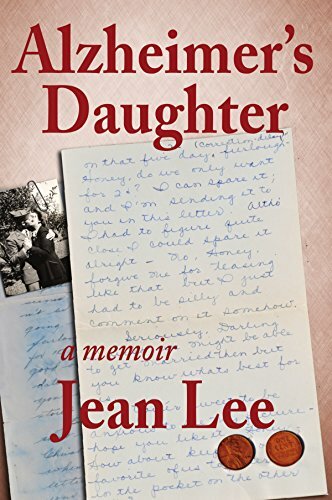 This heartfelt look at the trials and tribulations of that decade offers powerful insight and encouragement for anyone entering into a similar period of life. Smith’s touching stories share the heartbreaking, and sometimes comical, moments she experienced while providing assistance to her aging parent—and how they mirrored similar events from her own childhood. In a very real sense, the two women traded places. Smith found herself uttering phrases she heard all too often as a child, such as, “Don’t give your food to the dog” and, “You’ve had enough sugar today.” Smith began jotting down the things she said, and thus this charming book was born.Filled with respect, compassion, and love, this uplifting and amusing memoir is for anyone involved in elder care or who may face the role in the future. Have you just lost a friend or family member? Unsure of how to deal with the loss? I have all of the answers you are looking for! Grief is only expected after the loss of someone close to you, these times are always difficult and will test even the strongest among us. Grief is not something you have to go through on your own, there are ways in which it can be helped and released. There are countless strategies that you can easily implement into your everyday life and routine in order to help alleviate Grief & Bereavement. Grief Therapy is a term used to describe the techniques available to you that will help you overcome Grief & let you continue experience life to it’s fullest, without your loss ‘holding’ you back yet still letting you have remember complete celebration for the life of your loved one. This book is going to give you a whole bounty of tips & tricks on for Grief Therapy & Bereavement. Soon after opening the book you will realize that this was the best decisions you could have made, you’re going to be greeted with numerous chapters that are going to greatly enhance and speed up the process of Bereavement! The longer you wait the harder it gets to overcome so grab your copy! 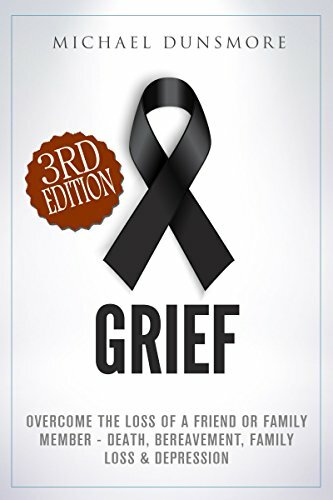 Grieving as a Natural Part of Growing Up/li>Dealing with the Shock of Losing SomeoneFactors that Slow Down the Healing ProcessComing to Terms with Losing SomeoneAvailing of Professional Services to Deal with GriefMuch, much more! Take action now, overcome Grief and download “The No.1 Help Guide For Grief Therapy & Bereavement” for a limited time discount of only $2.99! 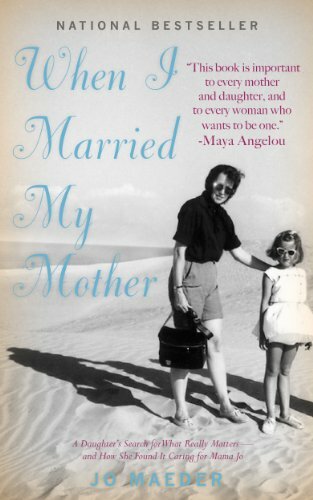 WHEN I MARRIED MY MOTHER, a national bestseller, is a you’ll-laugh-you’ll-cry love story that starts in the North, unfolds in the South and has captured hearts everywhere. Jo Maeder was a Z100 radio “ZJ” in New York City when a series of crises led her to do the unthinkable: leave New York for the Bible Belt — “Greensboring,” North Carolina — to care for her estranged, eccentric “Mama Jo.” What she thought would be some of the worst years of her life turned out to be some of the best. The same was true for her mother. Jo also discovered there’s nothing boring about Greensboro. Though often rocky, this “marriage” was a triumphant success, leading Jo to repair a long-fractured family and find a new and vibrant life she never imagined. Bonus material in the paperback and ebook includes an author Q&A, Mama Jo’s Favorite Cookie award-winning recipe, caregiving tips, discussion questions, and links to the book trailer and short film “The Doll Dilemma” by Jacob Rosdail. 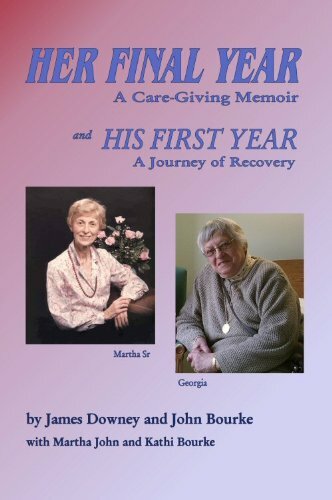 Readers rave it’s a hard to put down story for all; essential for anyone dealing with an aging parent. •	How to grapple with mommy guilt and win. •	Tips on how to say no to what you don’t want to do. •	Time management tools to help you carve out time for yourself – and what to do with your time once you’ve reclaimed it. •	Ways to tell the difference between having a mess and being a mess, and why it matters. •	How expectations steal your happiness and what you can do to take it back. •	How to understand that self-care isn’t selfish and is the place from which your true strength grows. •	Ideas for making inner-circle friends – and why they’re so important. •	Strategies for improving your self-talk dialogue and why it’s crucial that you do. A reference book for busy moms, The Well-Crafted Mom is the middle sister between Martha Beck’s Finding Your Own North Star and Brave Girls Club founder Melody Ross’ Choose Happy. 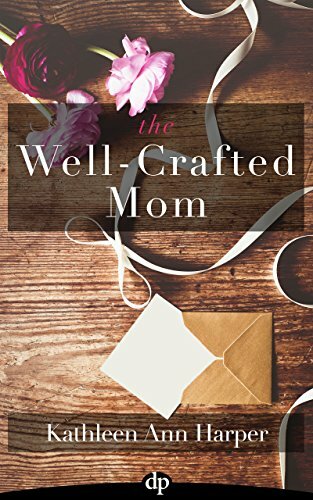 In the pages of The Well-Crafted Mom you’ll find reassurance, see yourself in familiar stories, and discover ideas for crafting your beautiful life. Two families, half a continent apart, faced with a loved one struggling against the onset of Alzheimer’s Disease. Two men, who each wind up being the primary care-provider for a beloved mother-in-law. These were roles they never expected to fill. Nothing they had done previously had prepared them for this. We often hear that life is a journey, and it’s the journey that matters – the path and the experiences – more than anything else. The family confronted with a loved one struggling against dementia often faces new, unexpected twists and turns in their journey. This book offers some perspective on that journey, as we were going through it. It’s part memoir, part journal, and all based on the things we were writing at the time. In seeing what we experienced, and the decisions we each made, over the arc of care-giving and then recovery, perhaps you will be better able to understand your own path, choose your own road. When Ava Fodor returns to New York from Paris, she leaves behind her budding romance with Pierre and turns her attention to another man: Zsolt Fodor, her father. He’s a penniless Hungarian poet transplanted to New York in the wake of the failed 1956 Hungarian uprising. Raised by her New England grandparents, Ava barely knows him. Dramatic, effusive, emotional, he’s everything her grandmother warned her against. Yet his crazy conversation fascinates her. His chicken paprikash isn’t bad either.Pierre’s pull draws Ava back to France, to the medieval walled city of Carcassonne. There, his tender care of his ailing mother awakens Ava to something lacking in herself. Unless she finds it, she can’t give him her heart.When her father has a heart attack, Ava is thrust into a caregiver role, looking after a man who never looked after her. She’s terrible at it. So was her father, so he forgives her. But can she forgive him? Until she learns to love the man she has every reason to abandon in his hour of need, she can’t move on. Only her father can show her the way. But will she let him? 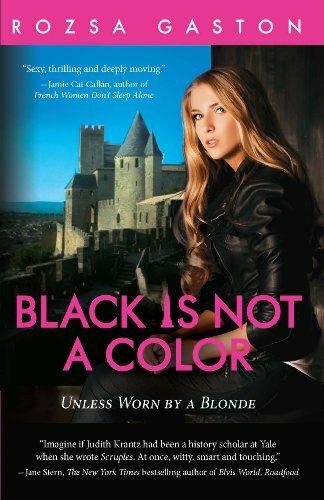 And if she can, will it be too late for Pierre and her?Black is Not a Color is Part II of The Ava Series: Ava Fodor’s journey of self discovery, begun in Paris Adieu.